News archive: Sponsor a Metre? 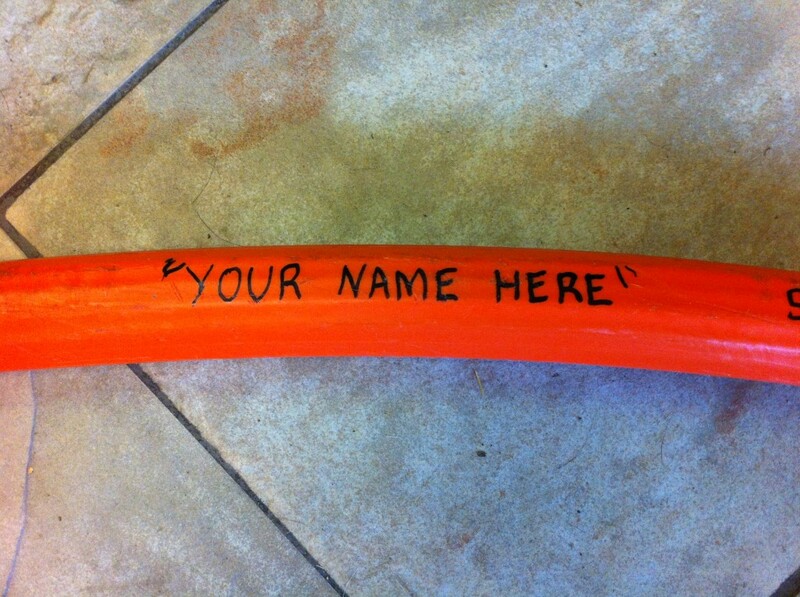 Special for Valentines day, sponsor a metre for your sweetheart and get your message on the duct! During a conversation with Ken Fallon on a radio podcast the idea of sponsorship was born. The plan so far, is that for a donation of £5 you can sponsor a metre of our fibre duct. In return we put your name on a metre of duct and take a photo of it. Your metre of the B4RN network with your name on it will be buried on a Lancashire upland farm for posterity, and your generosity will enable another metre to be laid in our community network. There is a button on the right hand side of this page, you can pay with PayPal and a photo gallery will be published with all the names on. We are about to lay another 500 metre stretch of the very fat duct next week going into the hub, so if you want your name on that act quickly. The smaller duct is being laid all the time, but the fat one is the best because we can write your name much bigger! If you want extra metres then please email us the names you want on it when you have donated. Why not buy a family batch? Special offer, 5 names for £20. Rather than a person’s name, you may want the name of your business to be on the duct and the photo gallery. If you do then that’s fine too. Why not buy a metre now, and support this brilliant community initiative? Another of our little videos here, you could always sponsor one of those too?